"Pumpkin Patch" Too adds even more creative options to your digital background paper choices when creating with this wonderful Fall kit! Is it the floral in teal, the pumpkins in yellow or the leaves in brown that captured your eye...they're all here...now for the fun of creating! These background papers are NOT included in the FQB "Pumpkin Patch" Collection, so please don't miss out! 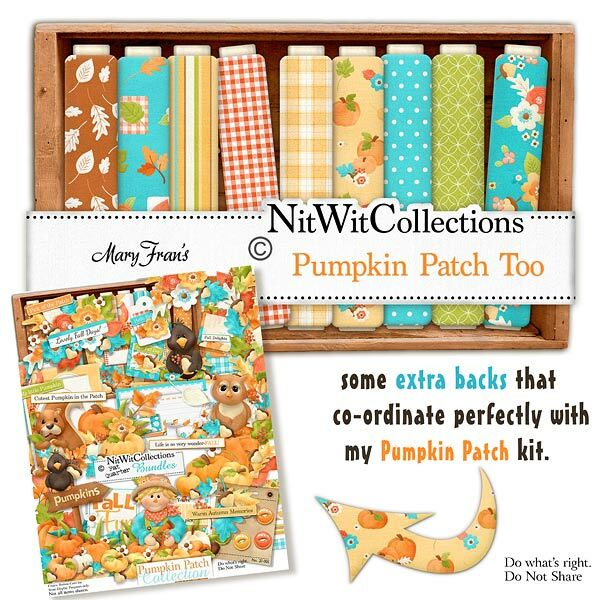 19 Digital background papers that coordinate and colour match my FQB "Pumpkin Patch" Collection.